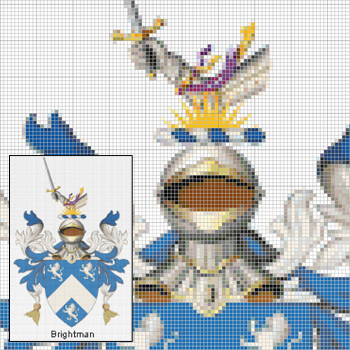 Now you can order this great 11 x 14 inch Family Crest Cross Stitch Chart, and have hours of fun creating your own authentic piece of Family History. 14 stitches per inch, and designed to be used with Anchor Threads. Your Family Crest is ready to use straight away, we also included a full list of threads required and lengths to ensure that you can purchase everything you need before you start. Size: 11 x 14 chart.